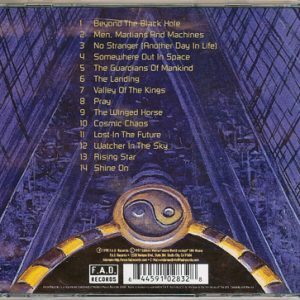 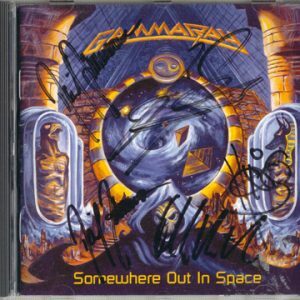 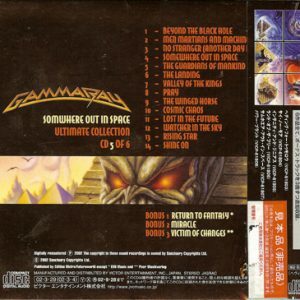 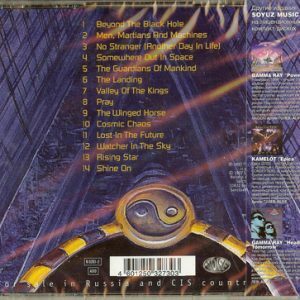 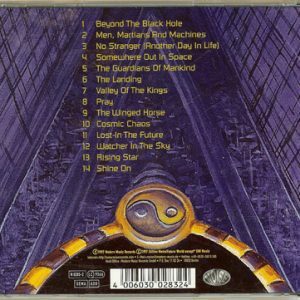 1997 – Somewhere Out In Space – Cd. 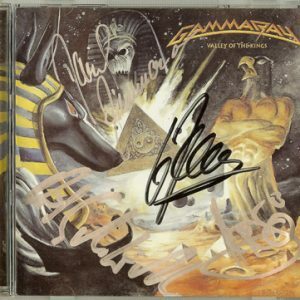 Signed by Kai, Dirk, Henjo & Dan. 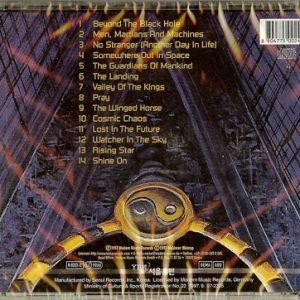 15 Tracks. 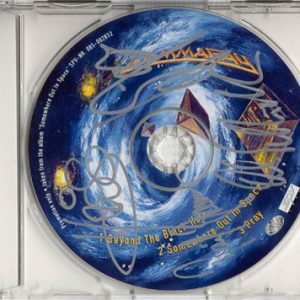 Signed by Kai, Dirk, Henjo & Dan. 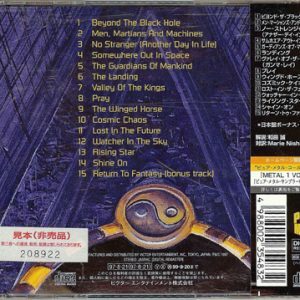 1 bonus track – 1st press with sticker. 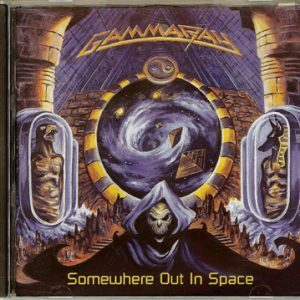 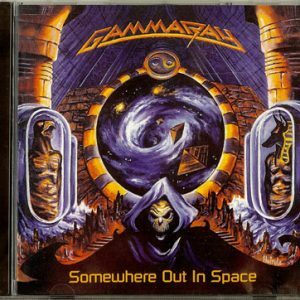 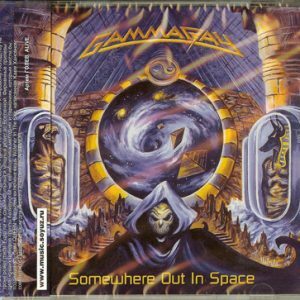 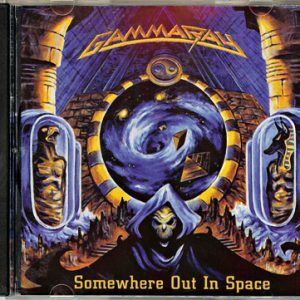 1997 – Somewhere Out In Space – Cd – Usa. 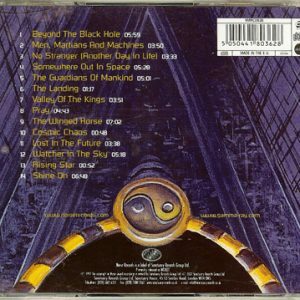 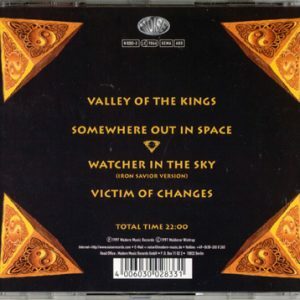 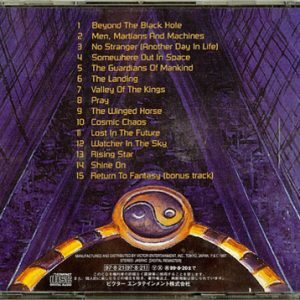 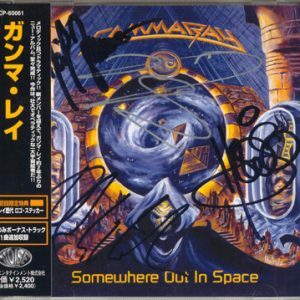 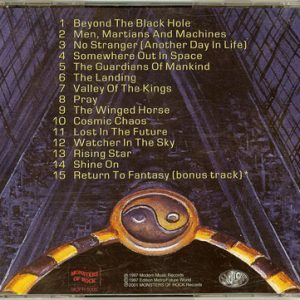 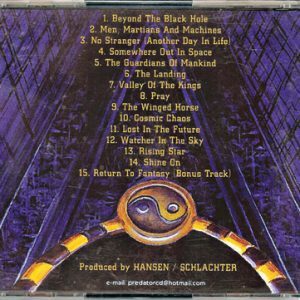 1997 – Somewhere Out In Space – Russian Cd – Bootleg. 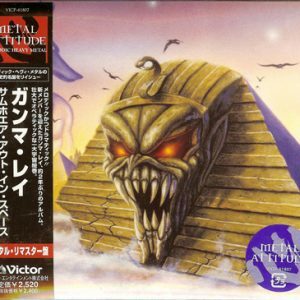 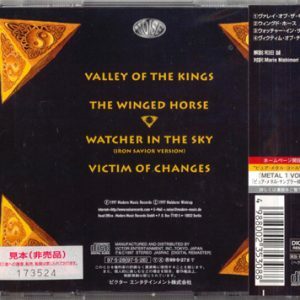 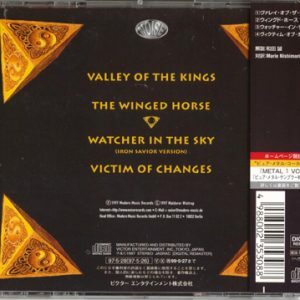 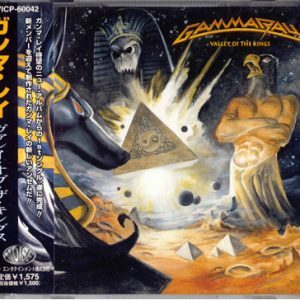 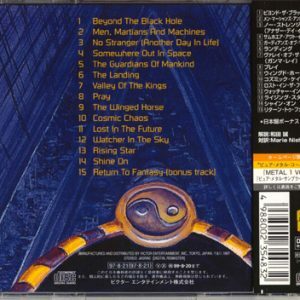 Copy of japan CD including bonus track “Return To Fantasy”. 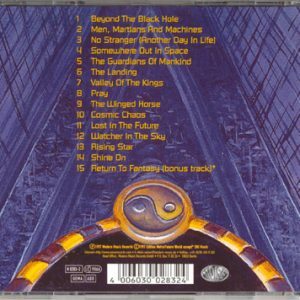 4-pages booklet with white blank inwardly. 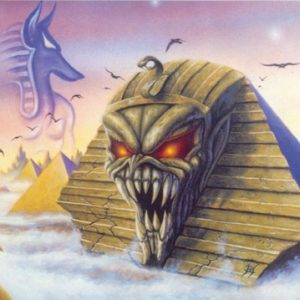 No Lyrics. 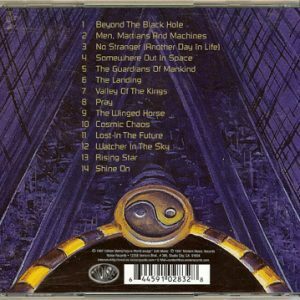 1997 – Somewhere Out In Space – Korea – Cd. 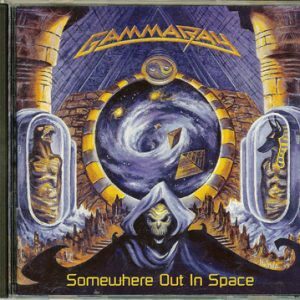 1998 – Somewhere Out In Space – Usa – Cd. 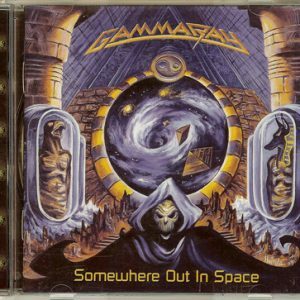 1998 – Somewhere Out In Space – Russia Bootleg – Cd. 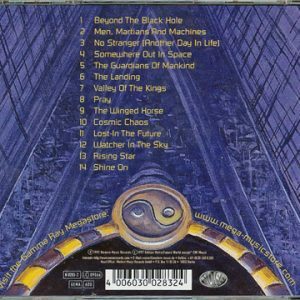 2001 – Somewhere Out In Space – Cd – Russia – Monsters of Rock – Bootleg. 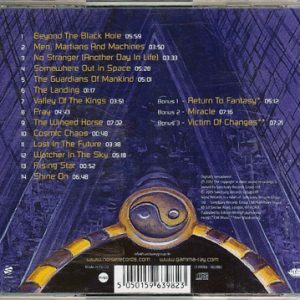 2002 – Somewhere Out In Space (+3 Bonus Tracks) – Cd. 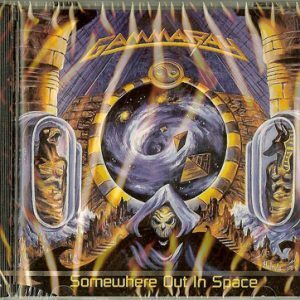 2004 – Somewhere Out In Space – Russia – Cd. 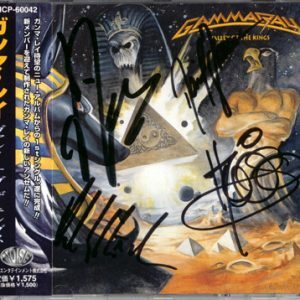 Still sealed. 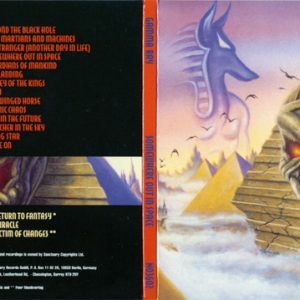 For Sale in Russia and CIS Countries. 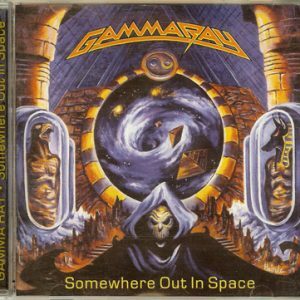 2005 – Somewhere Out In Space Cd (+3 Bonus Tracks). 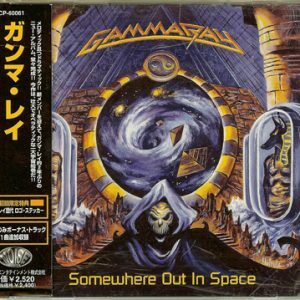 2007 – Somewhere Out In Space – Cd.